providing 1.2 calories per mL. 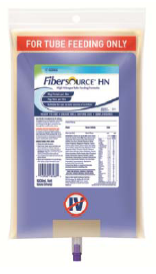 (CARTON QTY) FIBRESOURCE® 1.2 HN is a high protein , unflavoured tube feed. IMPACT® ADVANCED RECOVERY contains the 3 active ingredients (arginine, omega-3 fatty acids and dietary nucleotides) in the same quantities per serve, with a reduction in overall volume to improve patient compliance. 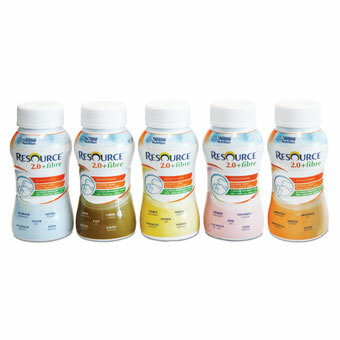 The reduction in calories and carbohydrates now make Impact® Advanced Recovery more suitable to meet the needs of a broader group of patients..
(CARTON QTY) ISOSOURCE¨ 1.5 CAL is a high-calorie, high protein neutral flavoured* liquid supplement with added fibre. Suitable for enteral or oral use, it provides 1.5 calories per mL. 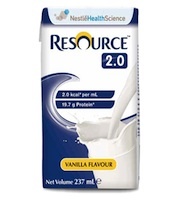 ISOSOURCE® Soy Energy Fibre- a dairy-free 1.5kcal/ml liquid formula. 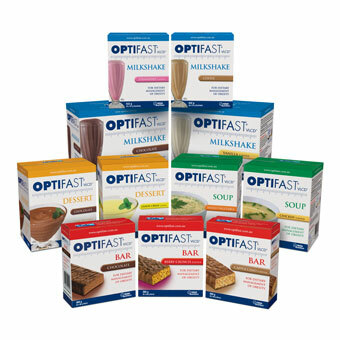 products including milkshakes, dessert, soup and bars. 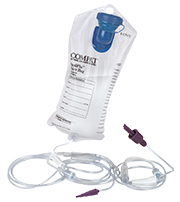 enteral use, it provides 2.0 calories per mL. added fibre. Suitable for oral use, it provides 2.0 calories per mL. wound healing1 providing 1.06 calories per mL. supplement designed for people with chronic wounds. Suitable for oral or enteral use, it provides 0.15 calorie per mL.